St. Peter's congregation is seeking a bright, energetic, Priest-in-Charge who will be active in the church and the community. Applicants should have good preaching and communication skills. You must be comfortable in an open and affirming congregation. You would be expected to guide us in our spiritual growth and assist us in growing St. Peter's as a community of worshippers. We are ready, with your leadership, to use our many gifts and resources to fill the available seats in our lovely church. With 77 communicants in good standing and an average weekly attendance of 31, St. Peter's is a type one parish. We are located at exit 8 off I-88, 25 miles east of Binghamton, NY. 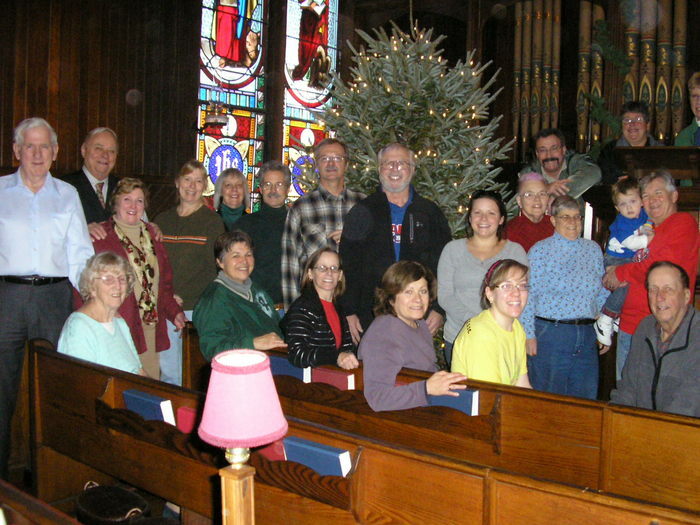 The congregation, from an area within a 15-mile radius of Bainbridge, gathers people from the small towns of Bainbridge, Afton, Sidney, Guilford and Masonville. An open, affirming and diverse group, we have one family friendly service at 10 a.m. on Sunday, with music. We have a small Sunday School which we are working on growing. There are classes for preschool/kindergarten, 8-12 year olds, and adults. Our historic church and large modernized rectory are located in the heart of Bainbridge, on the town green.